Inside the box. This expression is a bugbear of mine. Probably one of my most hated expressions ever. But onwards. 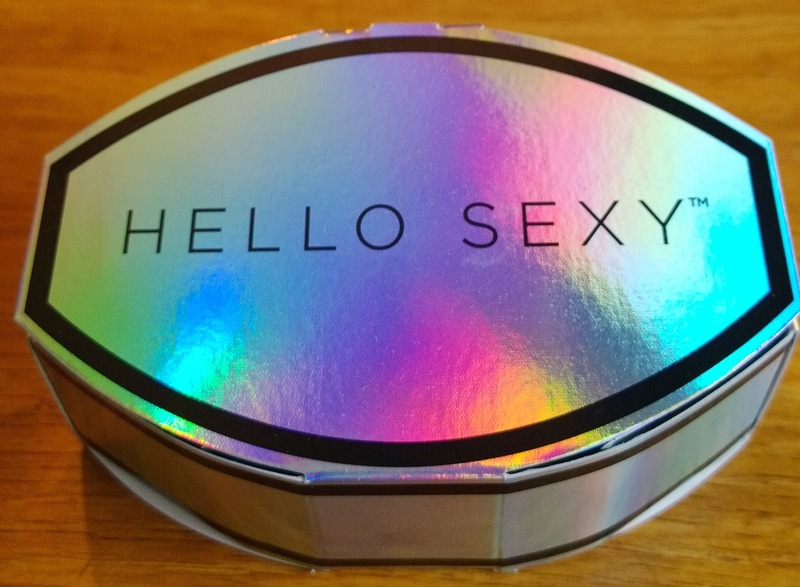 Let's not judge a box by its... errrr... cover. So, I took it out and had a look. Annoying phrase pushed aside, the cute holographic packaging led to more cute holographic packaging - I remember now, this wreaked havoc with my old camera, but my newer one managed to capture it nicely in PHD* mode, with no messing around of settings that, I have to be honest, I have less than zero interest in figuring out. This is supposed to brighten, de-puff, hydrate and lighten. According to the blurb, it's a "reverse action undereye and orbital eye treatment". £$%&$??! Whatever. I am far too tired to try work my way through that statement this morning, so onwards. What it contains, is "bioactive mud" with "actives that help** minimise puffiness, dark circles, and fine lines while brightening and hydrating the eyes". So, what I said earlier about de-puffing and brightening and whatnot. The idea is you gently tap it on (as you should always do with stuff around your eye area), leave it for a few minutes, then equally gently, wipe it off, leaving a micro layer of the active ingredients "for extended results". It proudly contains no parabens, sulfates, or animal products, is designed for men or women and for all ages and skin types. Don't let it dry. For the love of god don't let it dry. 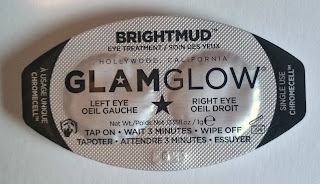 (I have no idea why, it just said so on the packaging ;-)) Also, it's for around your eyes, not in your eyes. Dummy. Dihydroxymethylchromone to support natural collagen synthesis and reduce its breakdown. TEAOXI™ Peppermint Technology to activate sensory trpm8 cold compression to de-puff eyes; helps skin look noticeably smoother and brighter (a blend of fatty acids and vitamins based around peppermint leaves, helps cool and de-puff). Essentially, it's water-based and also contains a bunch of other emollient ingredients like glycerin and trickery ingredients (like silicones), some alcohol and sodium hydroxide (that'll be the brightening ingredient there then). So far so expected. What did I find when I used it however? On application, it smells very slightly of an alcoholic weak mint tea. Immediately, it feels lovely and cooling (probably the alcohol and the peppermint) on application. Then, very very slightly tingly - really, barely imperceptibly for a minute, then getting a little more so as time progressed. I determined to tolerate it for the three minutes on the understanding that it wouldn't kill me and I wouldn't wipe it off before the three minutes were up... but if I'm honest, I am not 100% comfortable with any level of irritation around my eyes. So after the three minutes, I did the last step and wiped it off as instructed. I can honestly say the difference was minuscule - my fine lines were somewhat plumped. 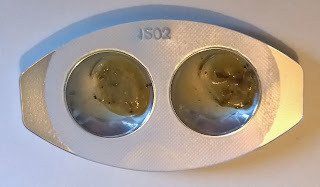 My eye area felt a little bit tighter (as you'd expect from the ingredients) and my eye area was ever so slightly softer, but I was left with that annoying not-quite-but-not-far-off-irritating-slightly-more-than-just-a-tingle feeling for about an hour, thereafter it faded. There was no change whatsoever in my dark circles (then again, I wouldn't expect that, as they're caused by hyper pigmentation rather than vasodilation (blood pooling in the area). Fast forward a couple of hours and the "plumping" of my fine lines had turned into slight "plumping" of the overall area - leading to very slight puffiness around my eyes - which I never, ever suffer from. 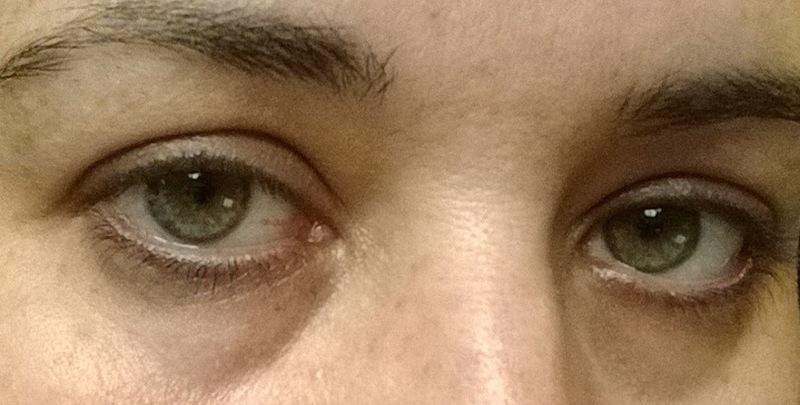 The other differences (slightly softer and slightly tighter had dissipated several hours later). So as a treatment for my eyes, I'd have to say an absolute "hell no", to this one. 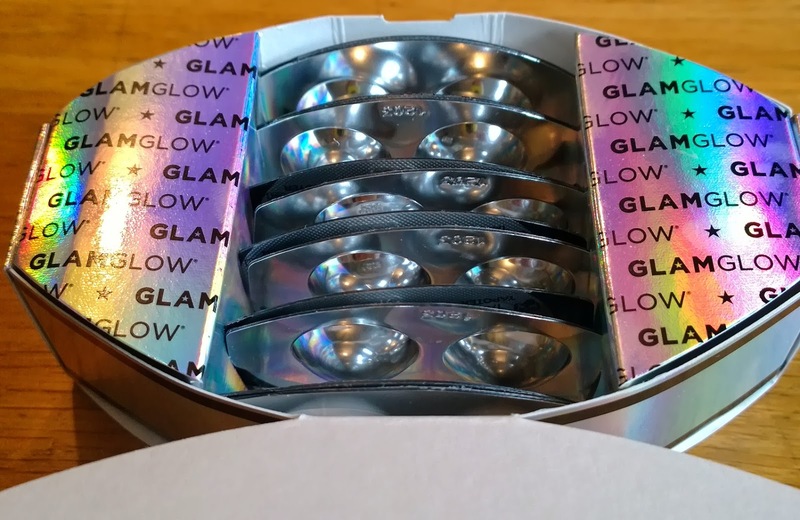 With the GlamGlow applied. The leafy stuff is peppermint leaves. 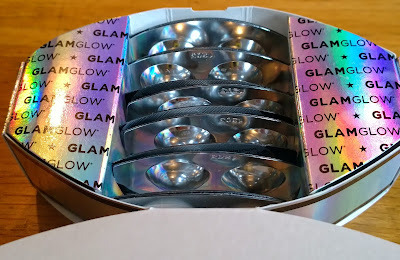 This set me back £45 from Love-makeup.co.uk (look here) for twelve capsules. Incidentally, there is a lot in each of these little capsules, I think you could easily make one stretch to two eyes. **** Assuming it worked for you that is. It's not for me. 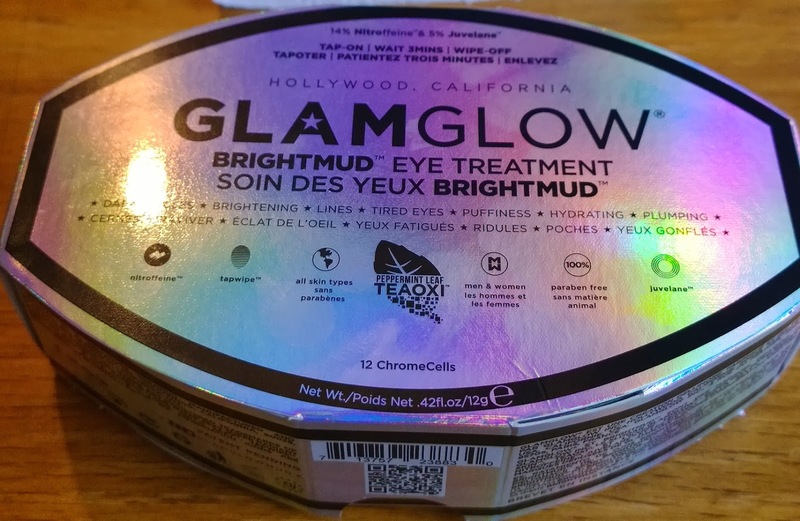 Having read great things about the face mask version of this, I was disappointed by the eye version. Next product... And back to my "pile of stuff to give away to someone else" for you. *** The clue is in the claim - "Instant backstage results" - that's the point - this is an instant result, not something long-lived or long-lasting. The products in this one won't assist with any puffiness or dark circles over time, but they may help you out with temporary, instant results).